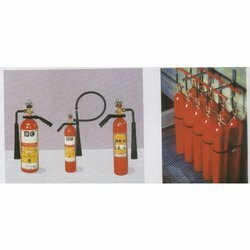 Backed by our efficient workforce, we are capable of providing our clients with Fire Fighting Equipments. All our products are developed in such a manner that assure these products are effective, user-friendly and excellent in performance. Durable and easy to handle, our equipment are available in different sizes, shapes and models among with various specifications to fulfill the requirements of our clients. 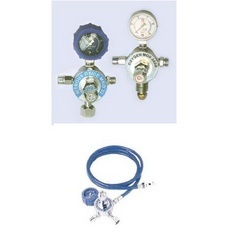 We are a leading manufacturer of Bulk Conversion Unit (Mox-Regulator with Tubing & Adaptor) that is used for connecting bulk cylinder to the anaesthesia apparatus. This unit is designed to meet the diverse industry requirements and is available in various customized sizes & specifications. These products are in huge demand and are of the finest quality produced by our experienced staff to provide our client with high quality product. 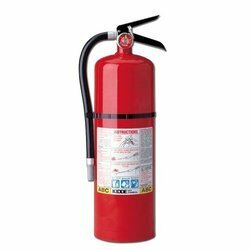 Backed by our efficient workforce, we are capable of providing our clients with Fire Fighting Equipment. All our products are developed in such a manner that assure these products are effective, user-friendly and excellent in performance. Durable and easy to handle, our equipment are available in different sizes, shapes and models among with various specifications to fulfill the requirements of our clients. Woven: Polyester Fiber, Polyester Filament yarn etc. Coated: PVC, TPU, PE, Rubber etc.